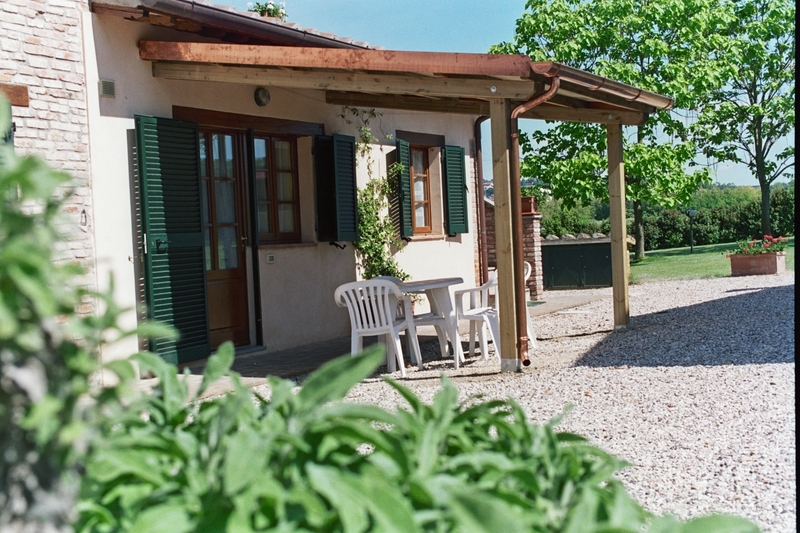 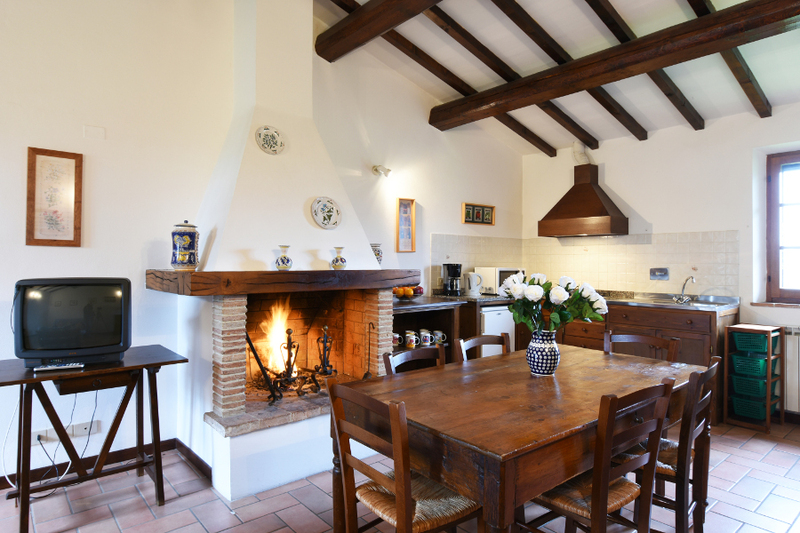 The holiday farmhouse is made up of an 18th century lodge and its related annexes which have been carefully restored to conserve their original appearance. 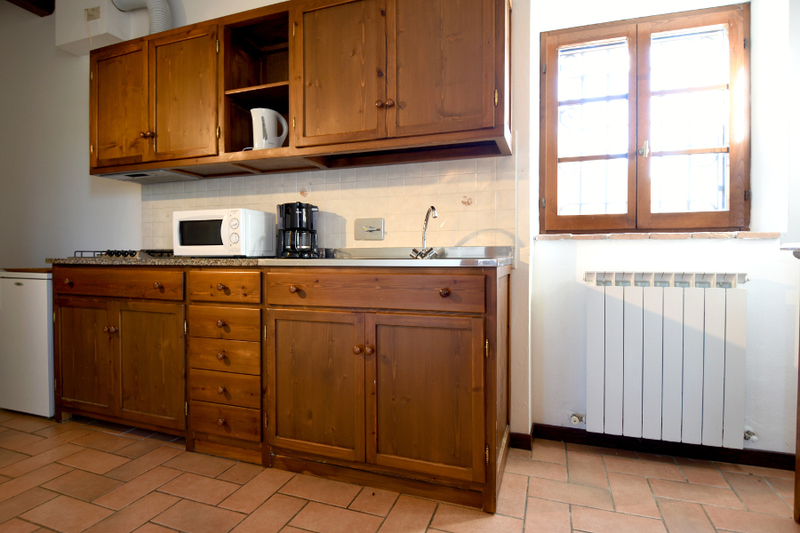 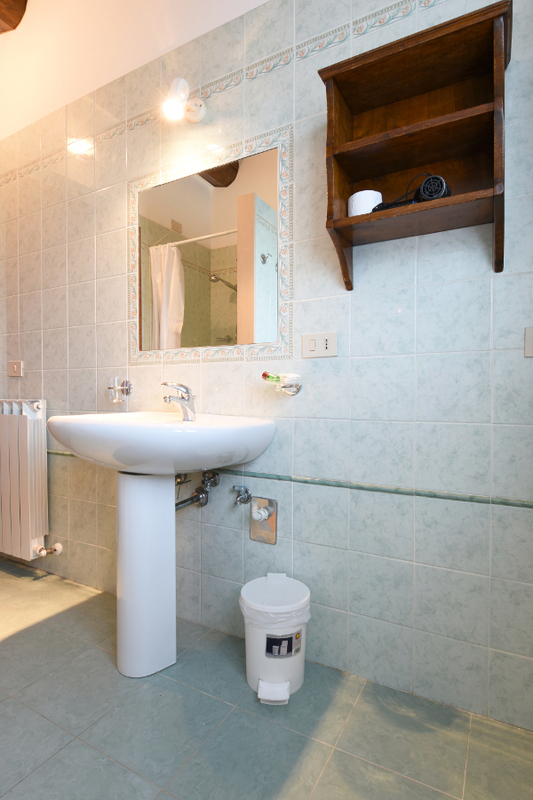 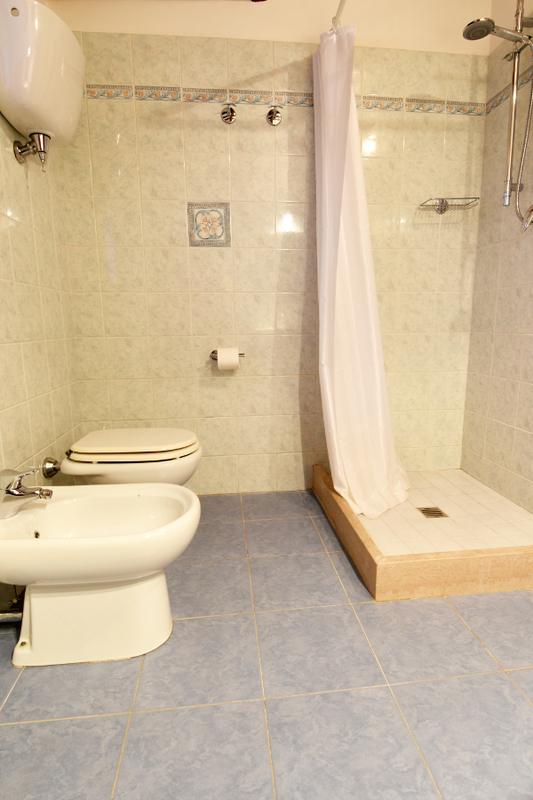 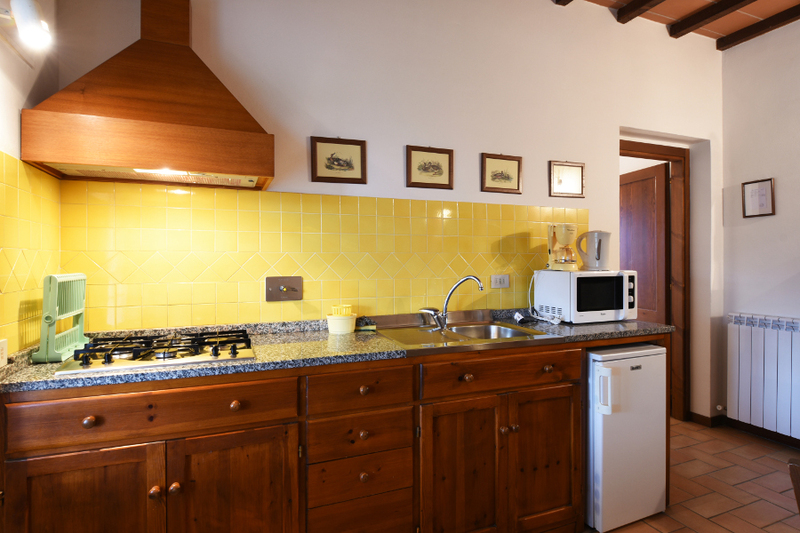 Eight large, furnished and fully-equipped apartments have been created with TV, Wi-Fi with free unlimited access inside and out, microwave oven, fridge, Italian and American-style coffee makers, kitchen area, tableware, and fireplace. 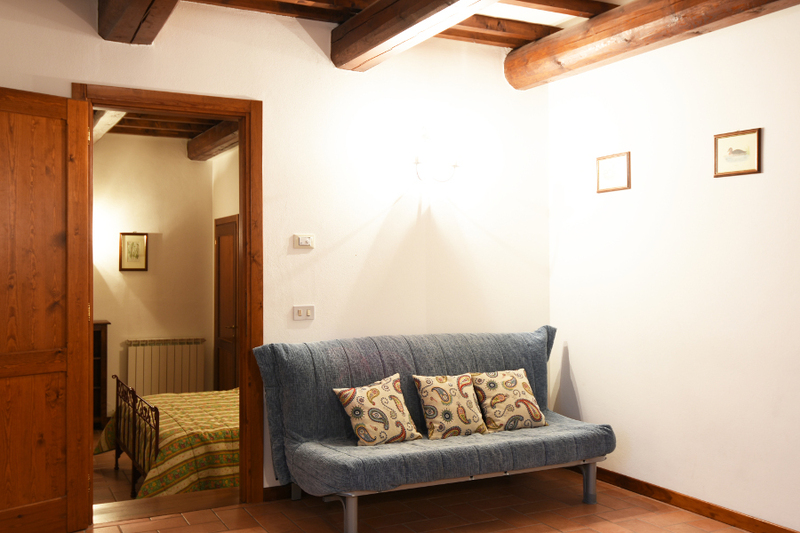 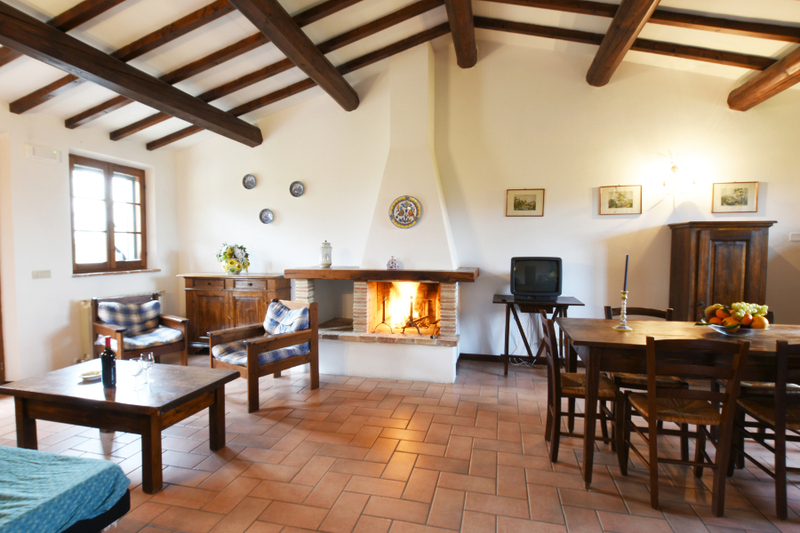 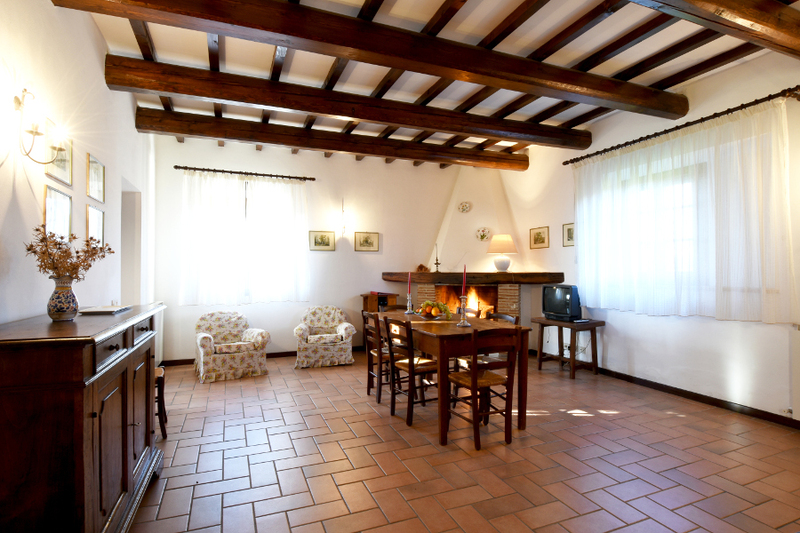 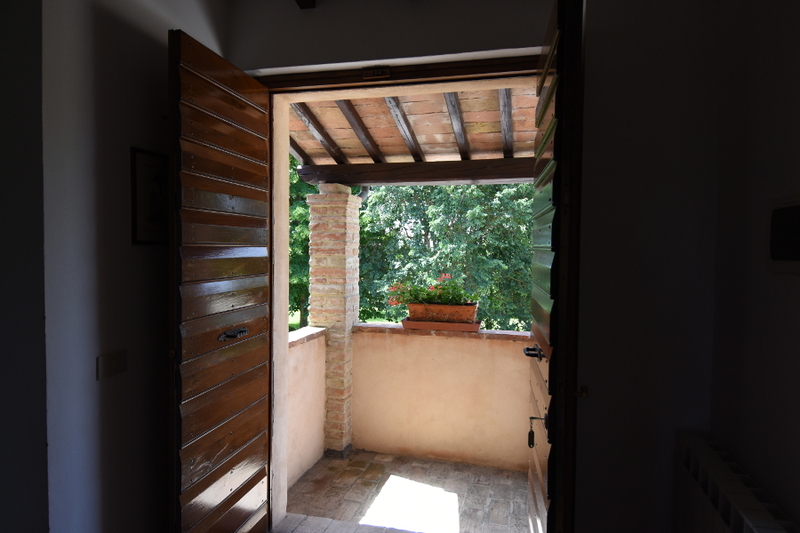 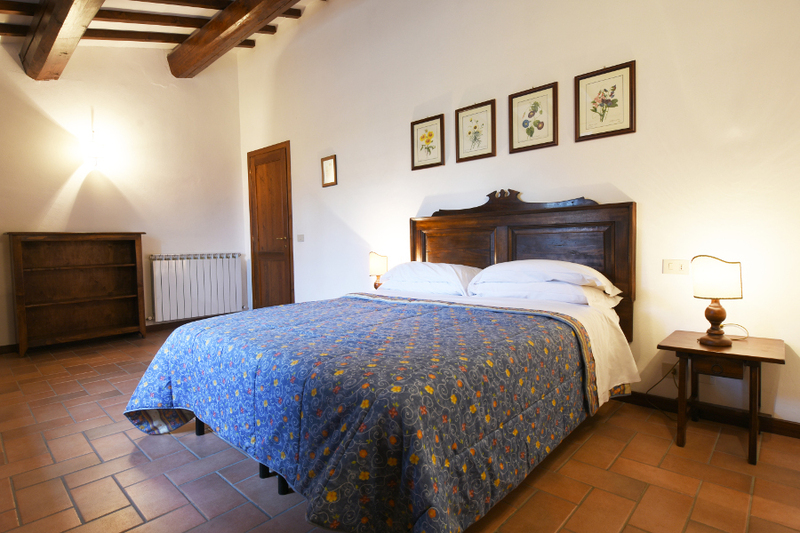 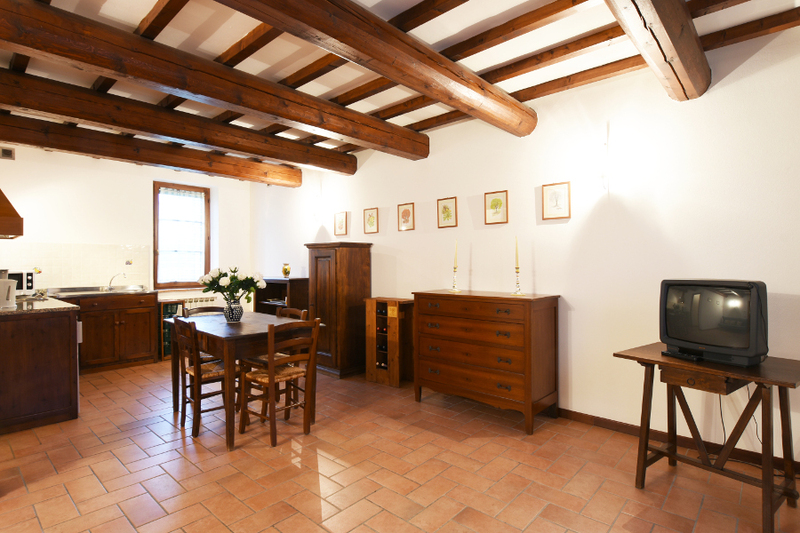 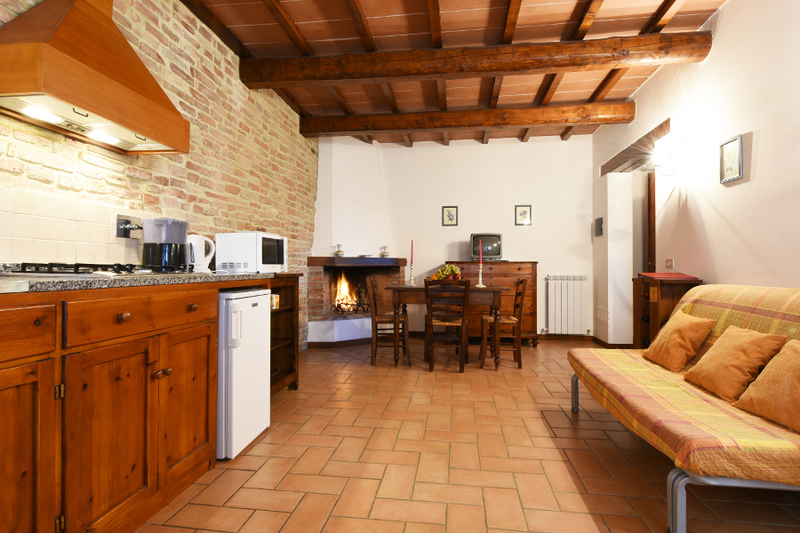 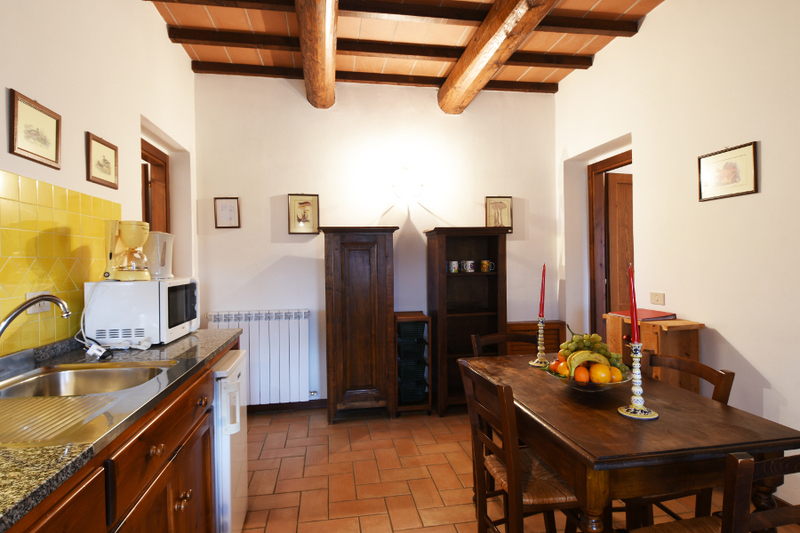 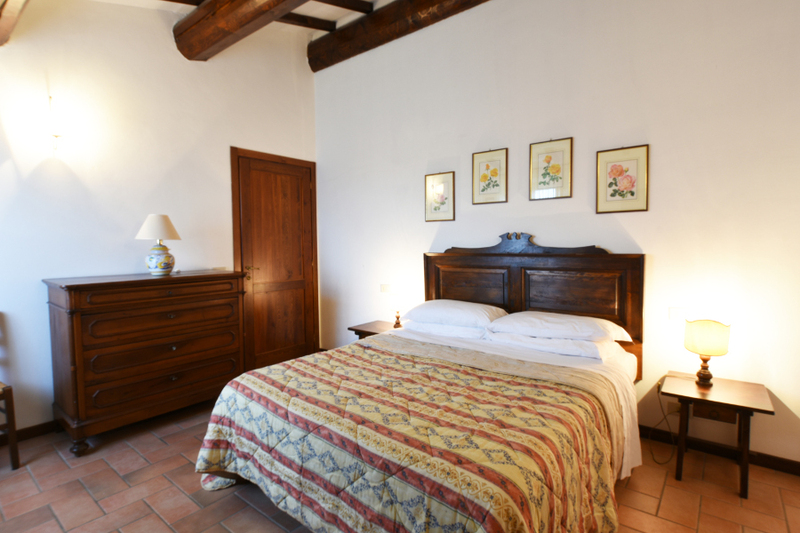 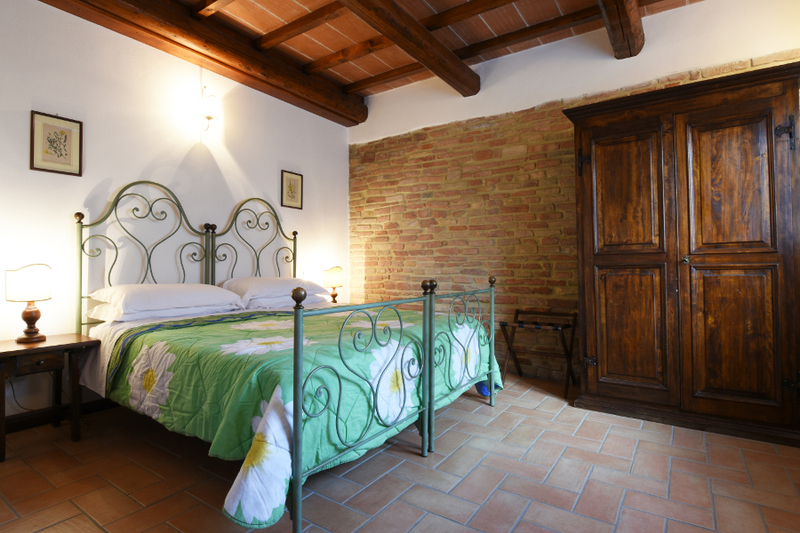 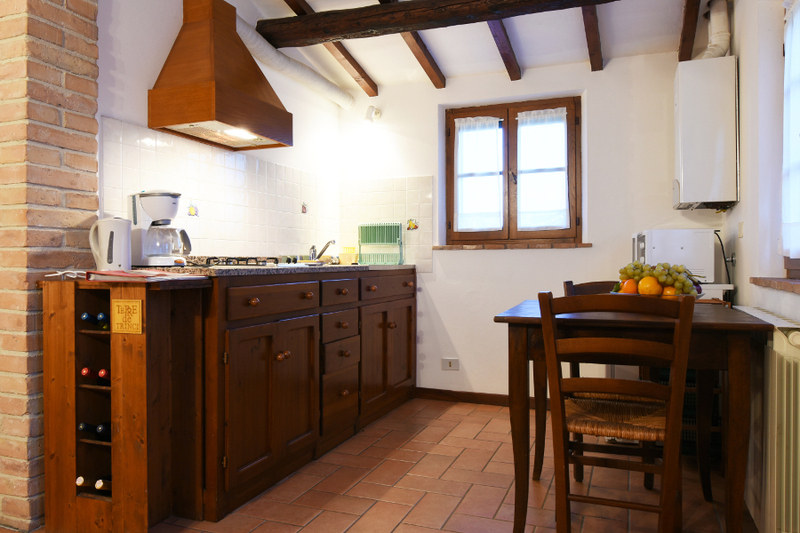 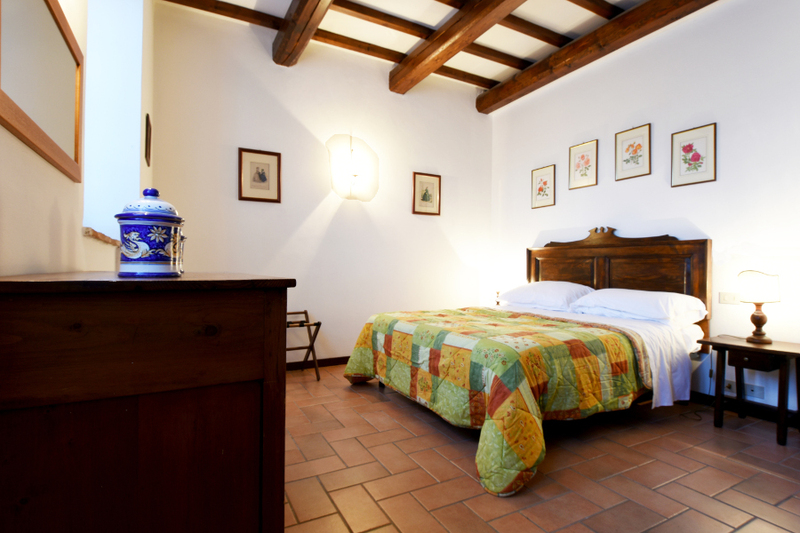 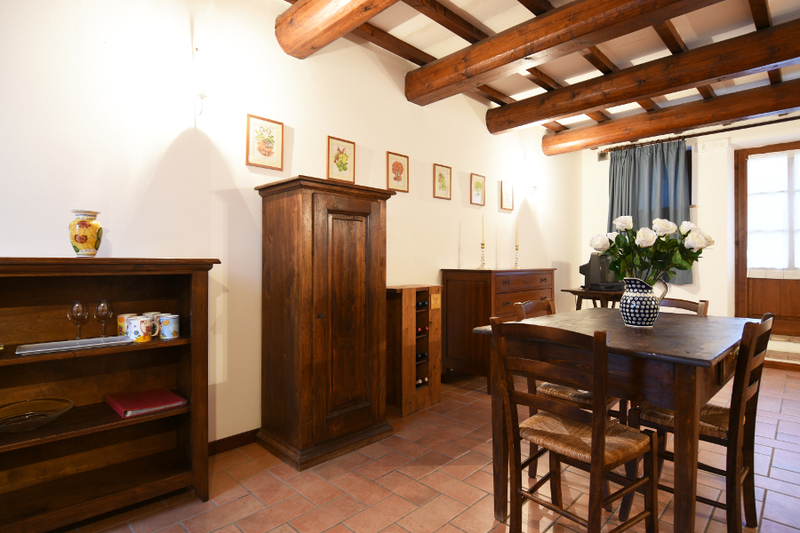 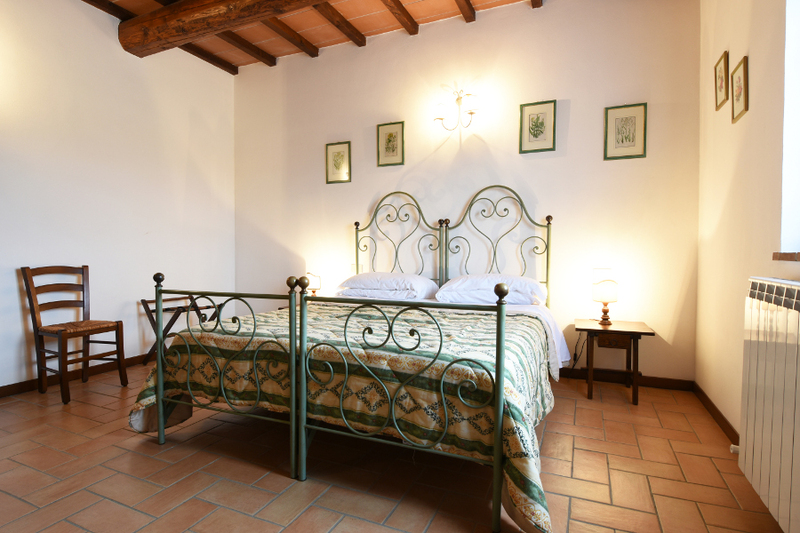 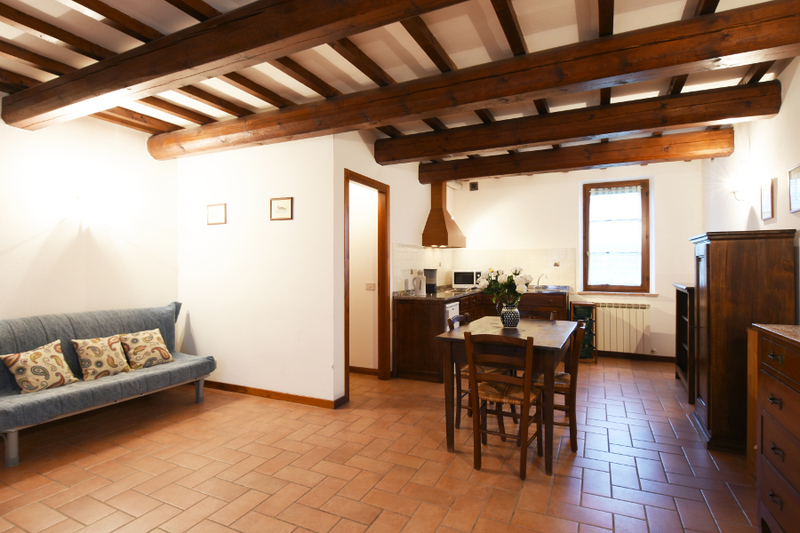 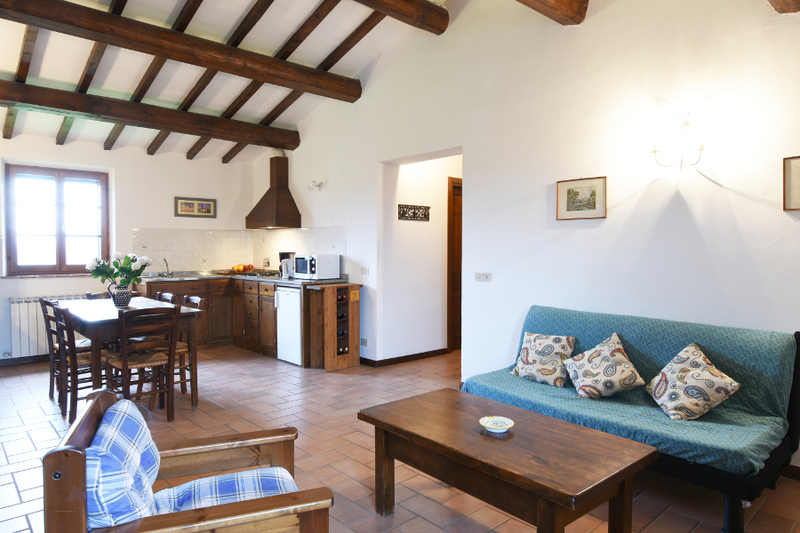 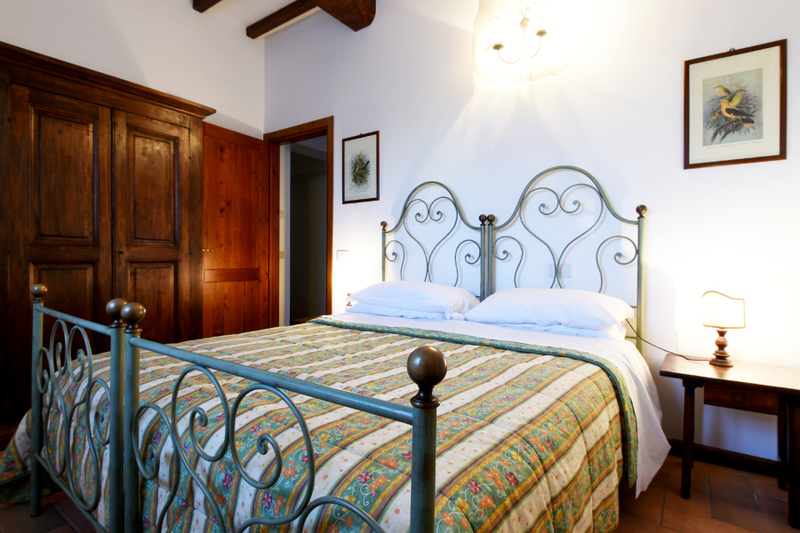 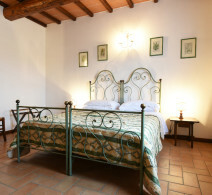 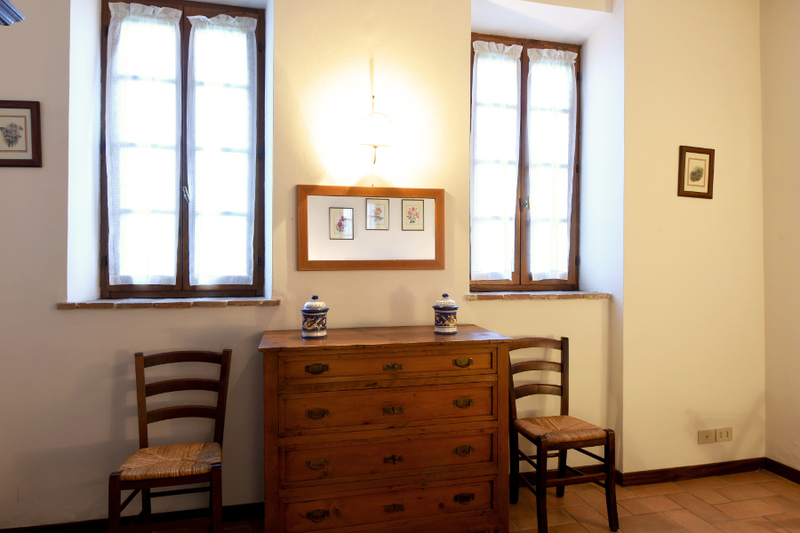 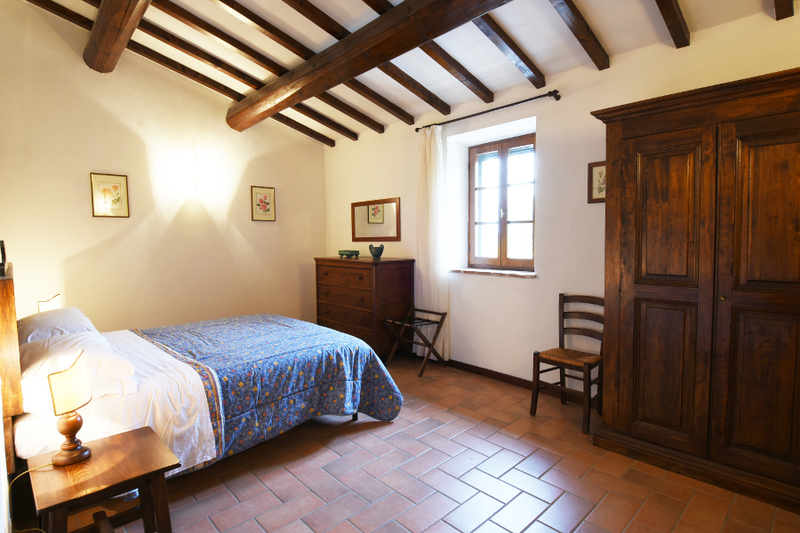 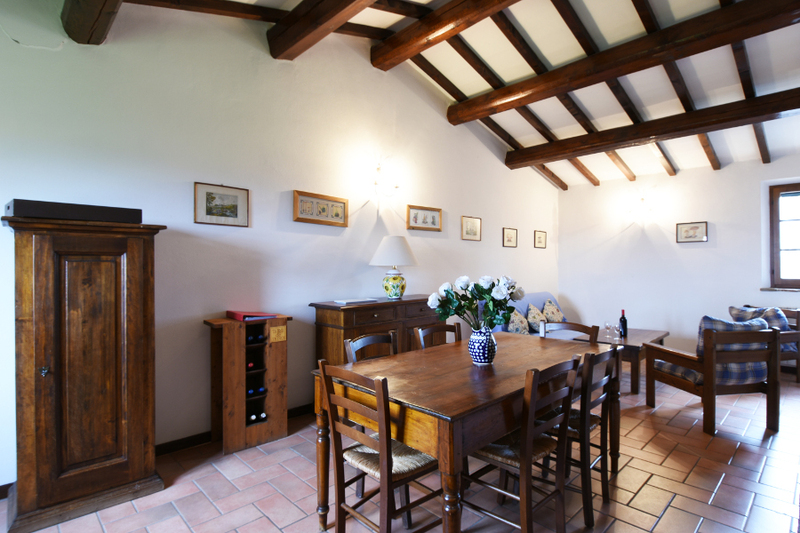 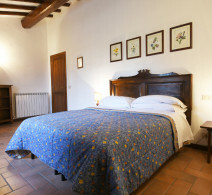 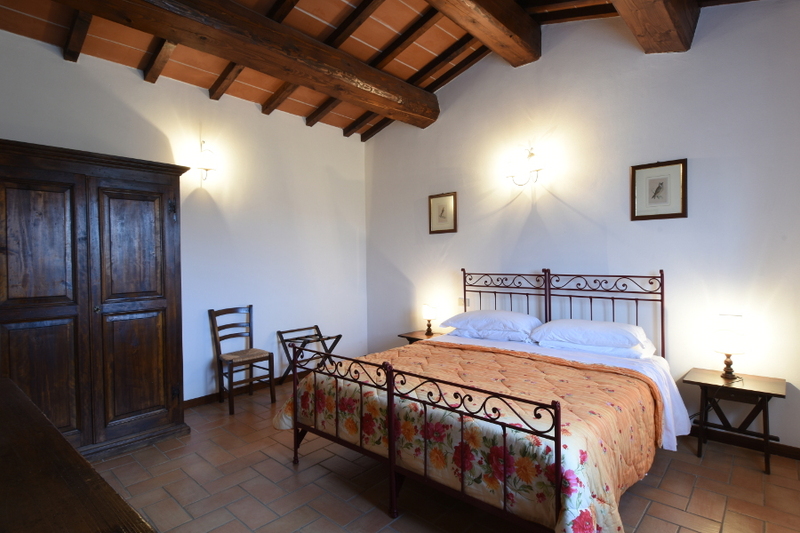 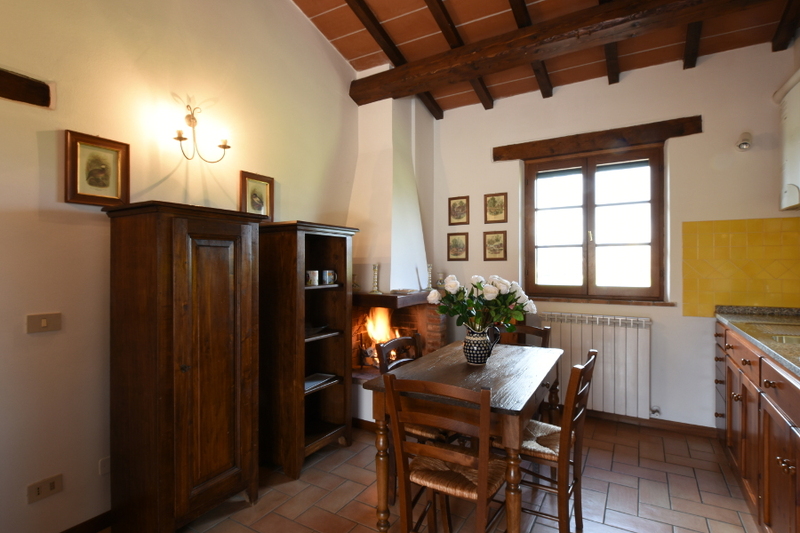 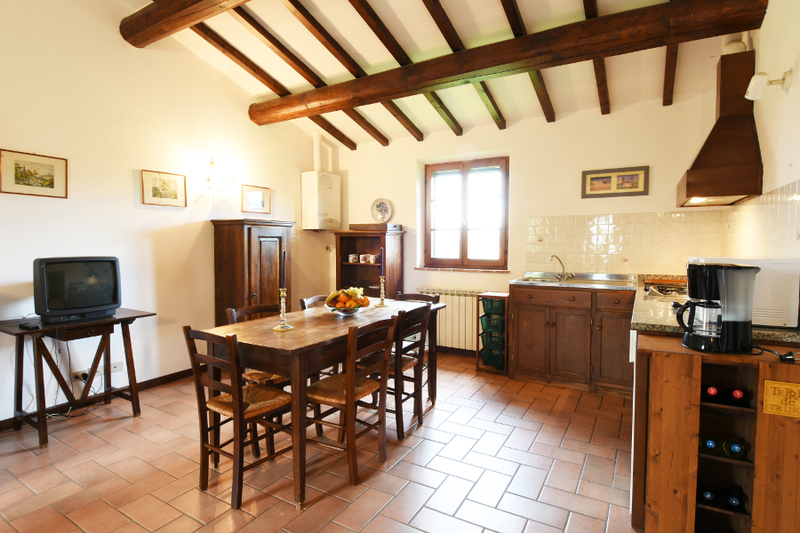 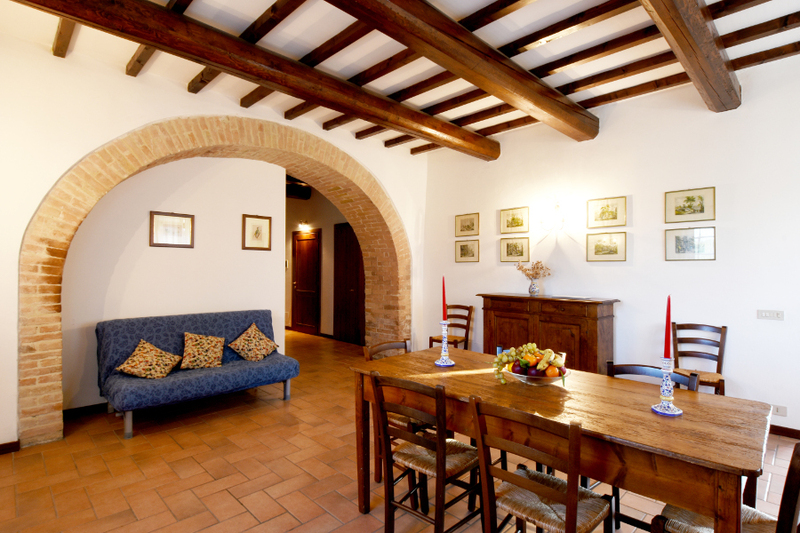 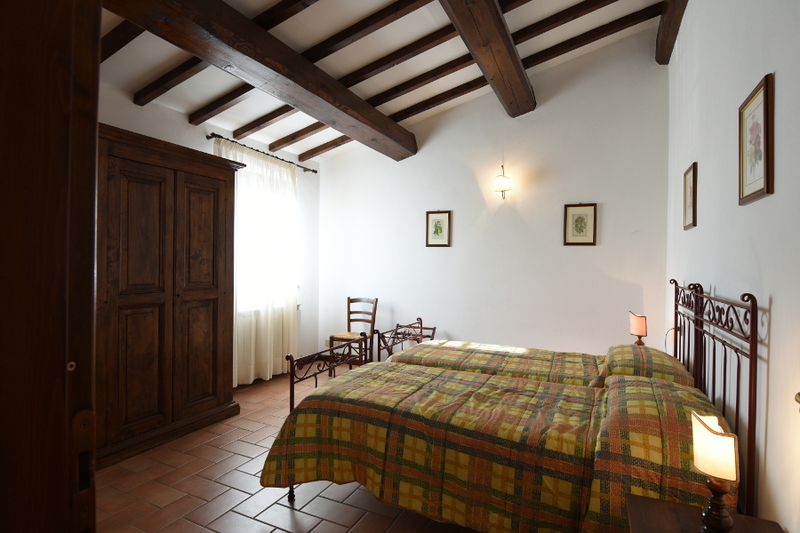 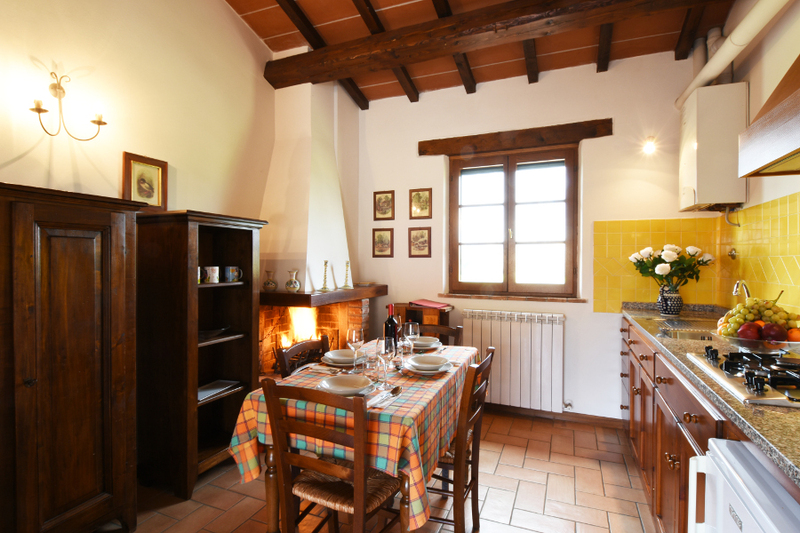 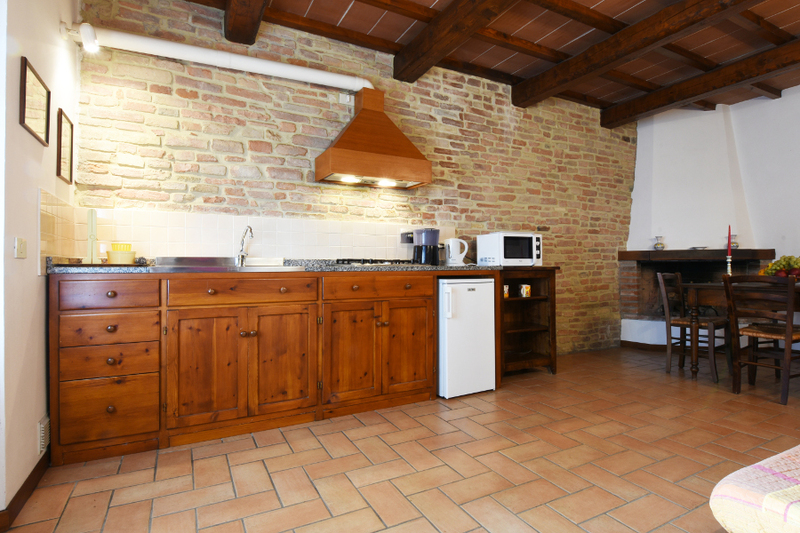 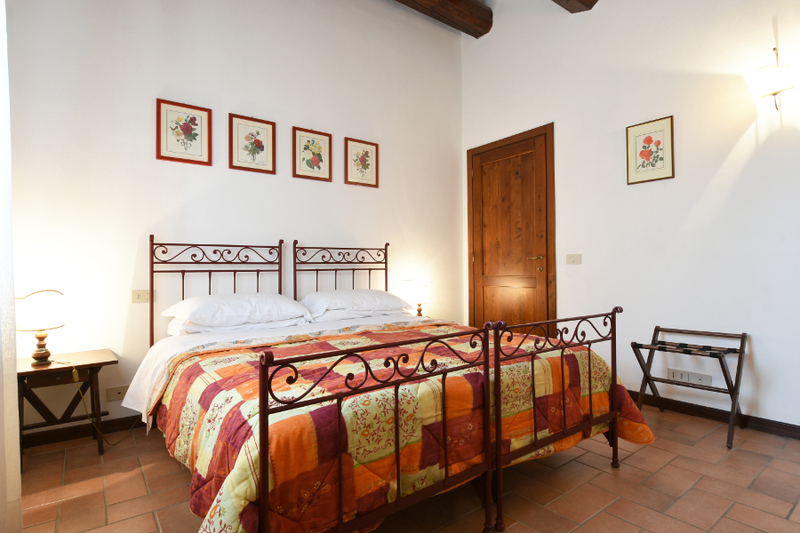 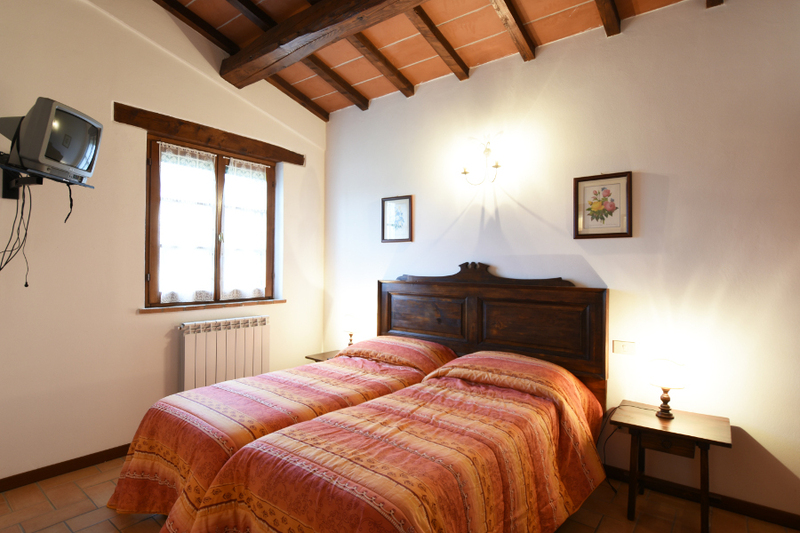 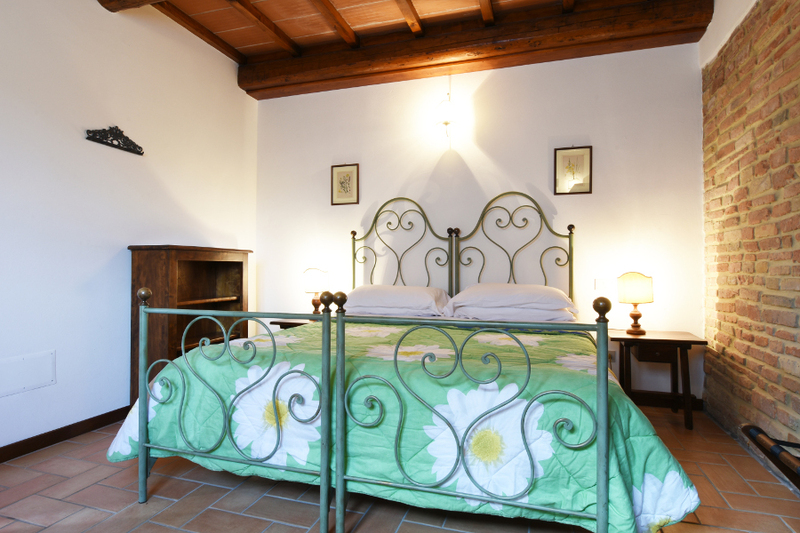 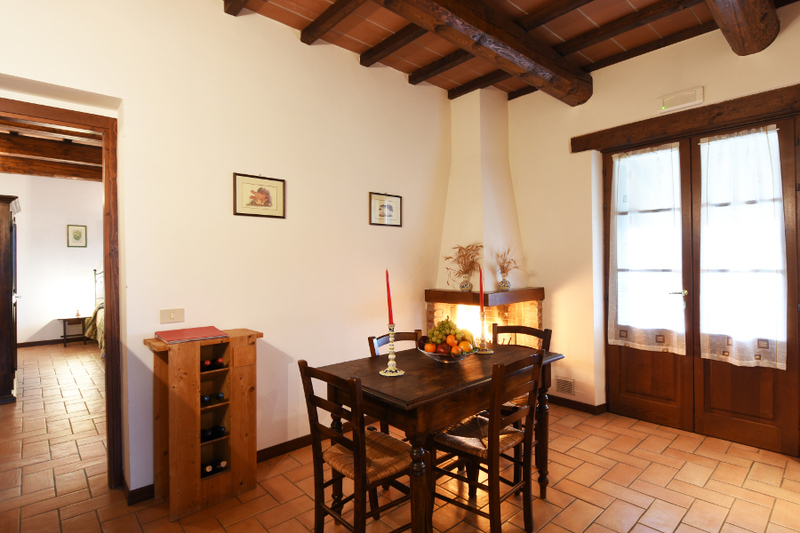 Wooden beams and terracotta floors create a warm and welcoming atmosphere. 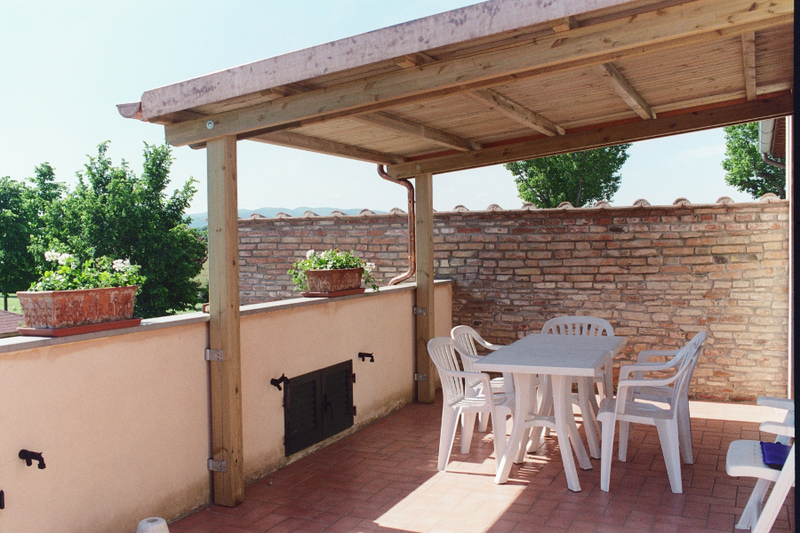 Each apartment comes with a fully-equipped outdoor table. 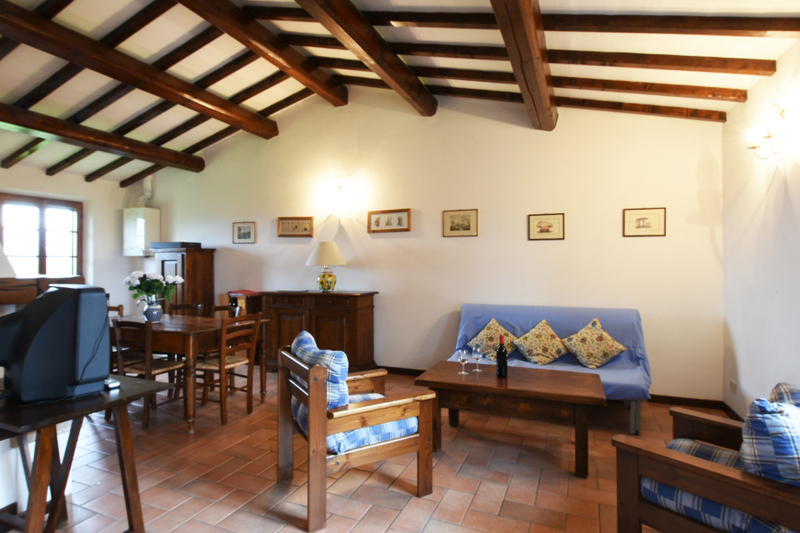 Ground floor, entrance with stone arch, wooden beam ceiling, terracotta floor, large living room with double sofa bed, TV and fireplace, independent kitchen, microwave oven, 1 double bedroom, 1 twin/double bedroom, bathroom with floor level shower (suitable for the disabled) outdoor area with fully-equipped table and wooden gazebo. 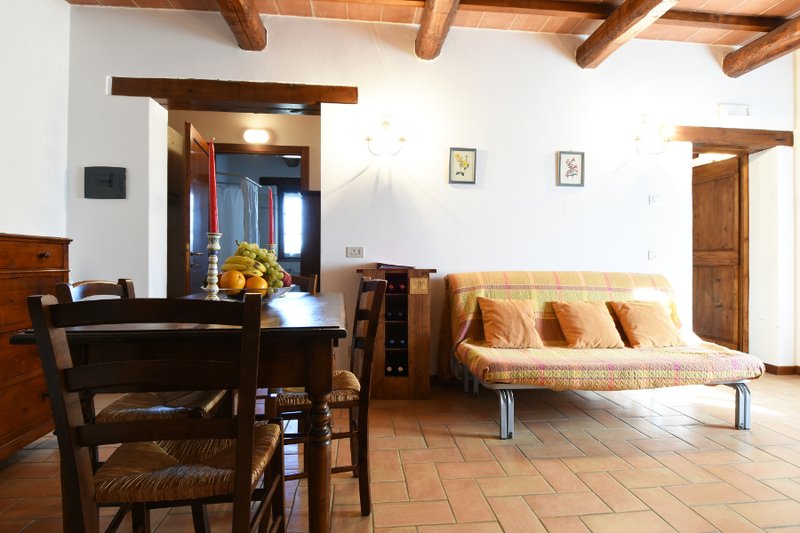 First floor, external staircase, entrance with balcony, wooden beam ceiling, terracotta floor, living room with double sofa bed, TV, fireplace and kitchen area, microwave oven, 1 double bedroom, 1 twin/double bedroom, bathroom with shower, outdoor area with fully-equipped table and wooden gazebo. 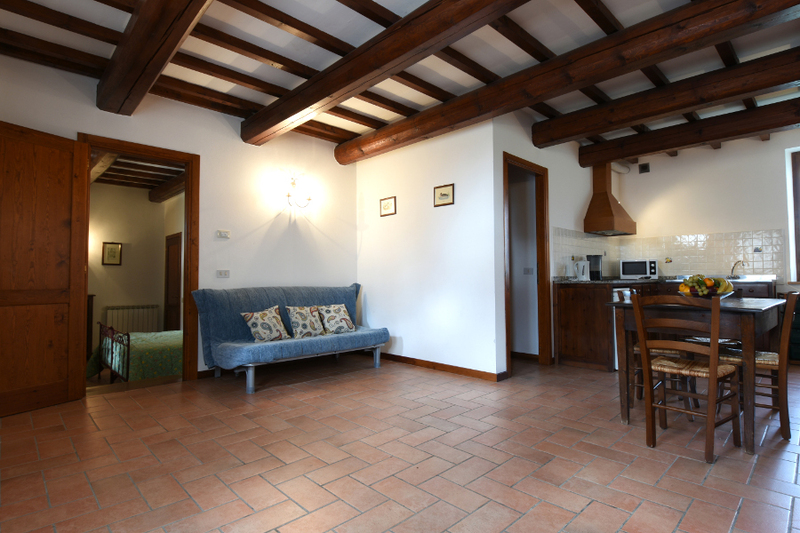 Ground floor, wooden beam ceiling, terracotta floor, living room with double sofa bed, kitchen area, TV, 1 twin/double bedroom, bathroom with shower, outdoor area with fully-equipped table and wooden gazebo. 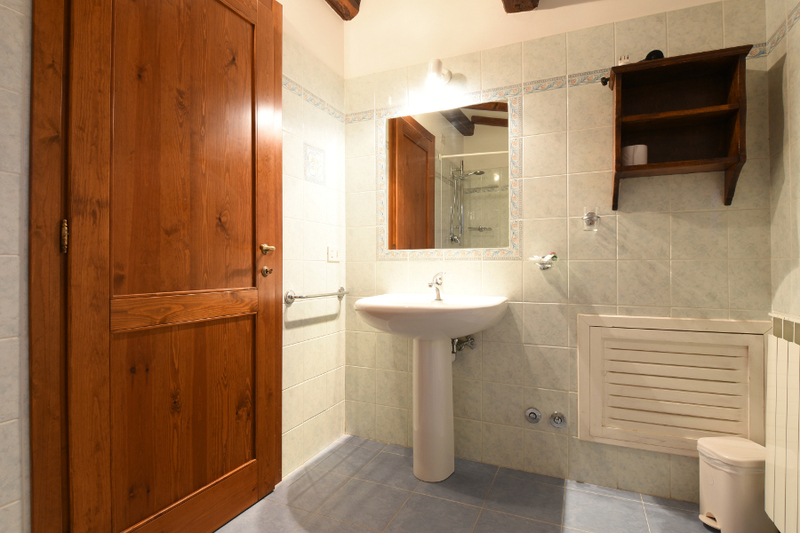 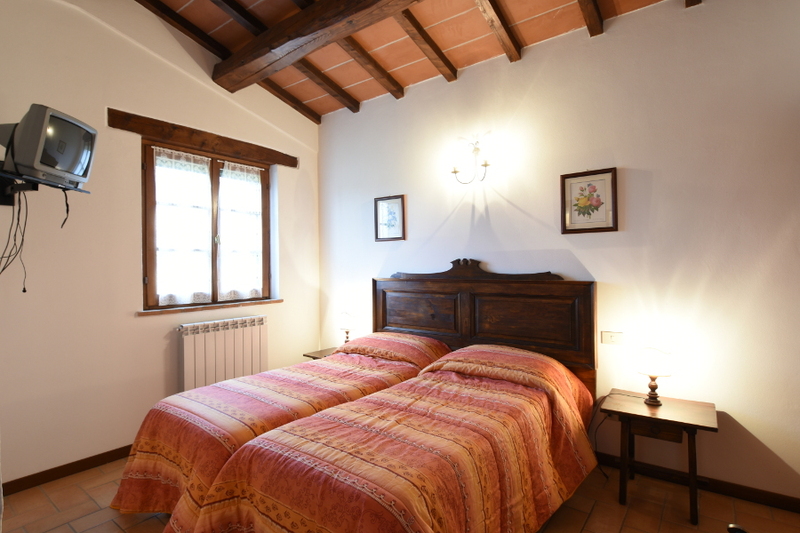 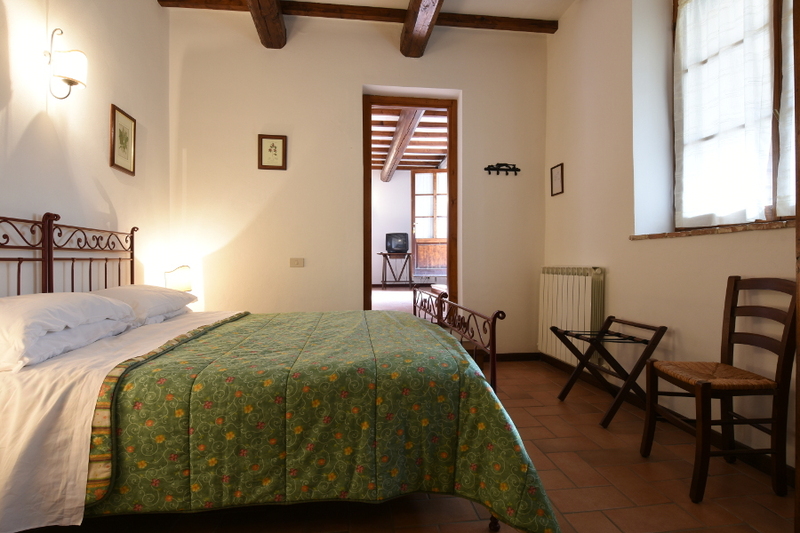 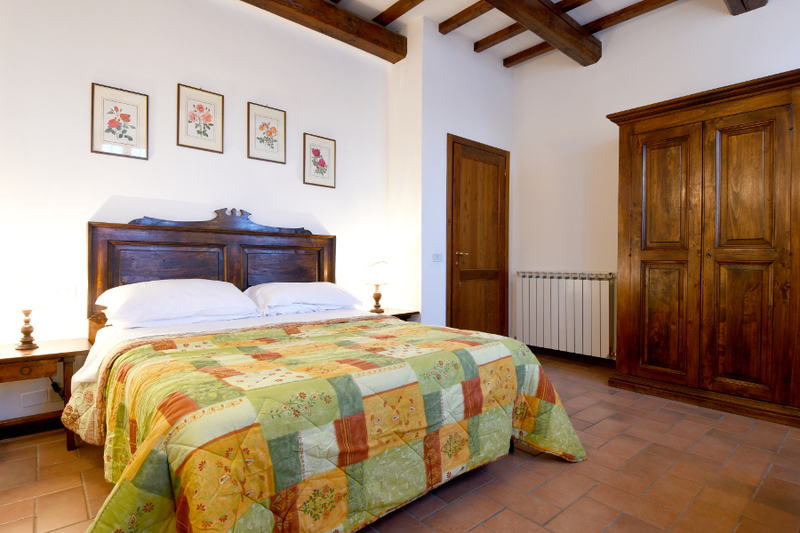 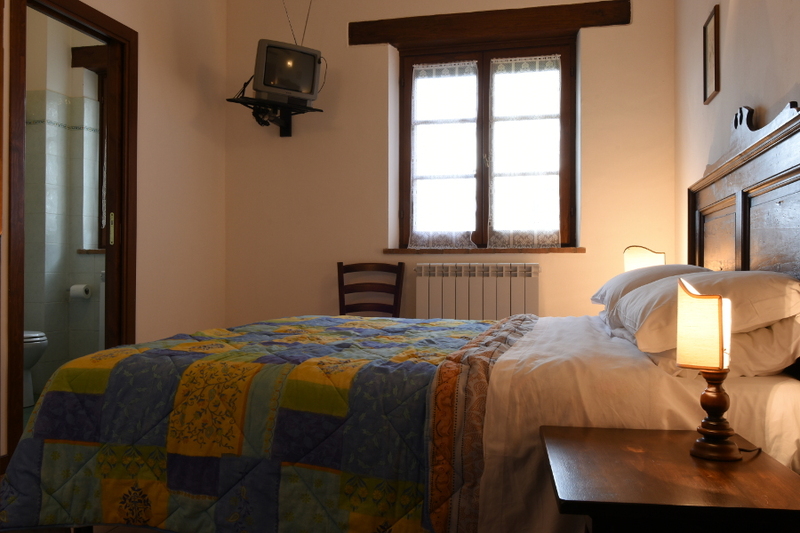 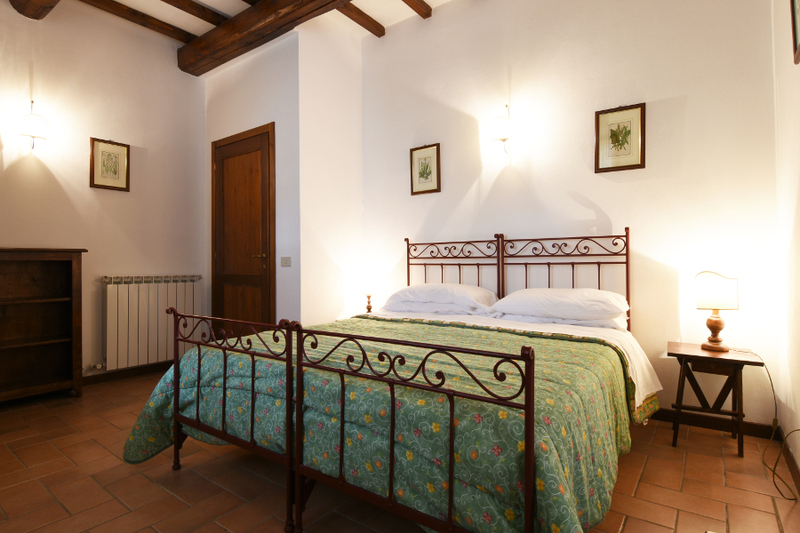 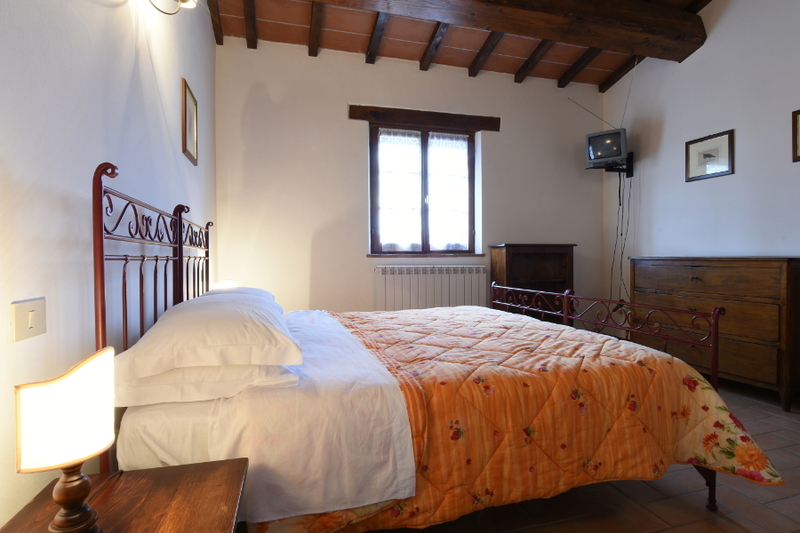 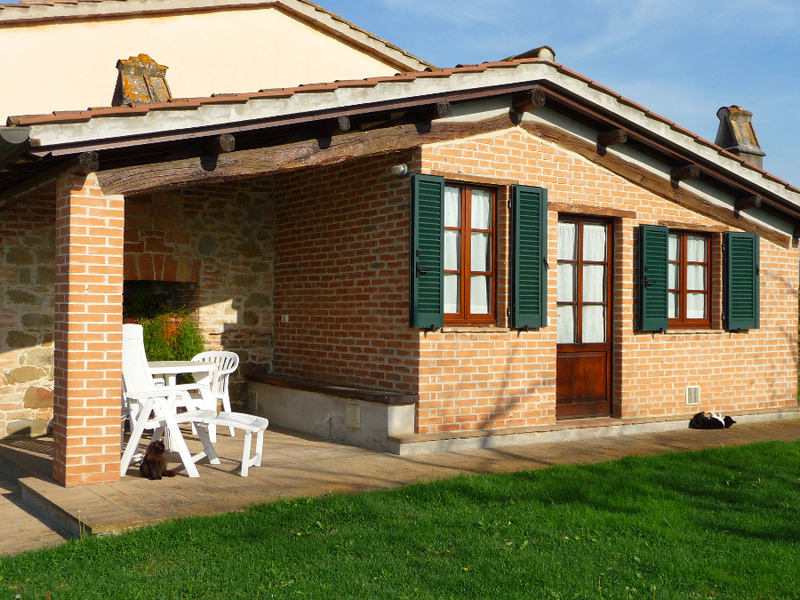 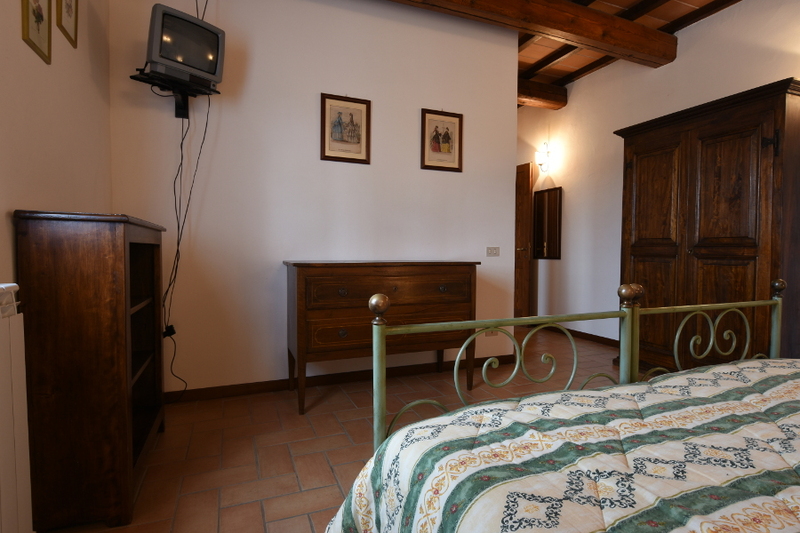 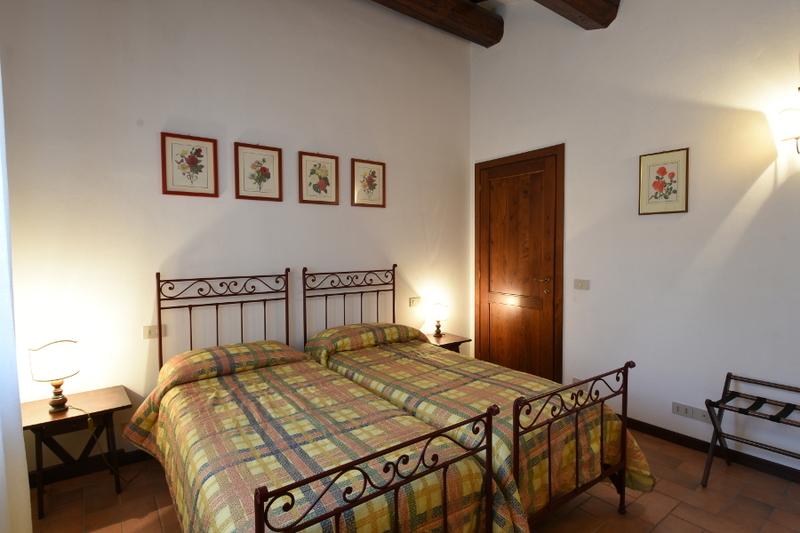 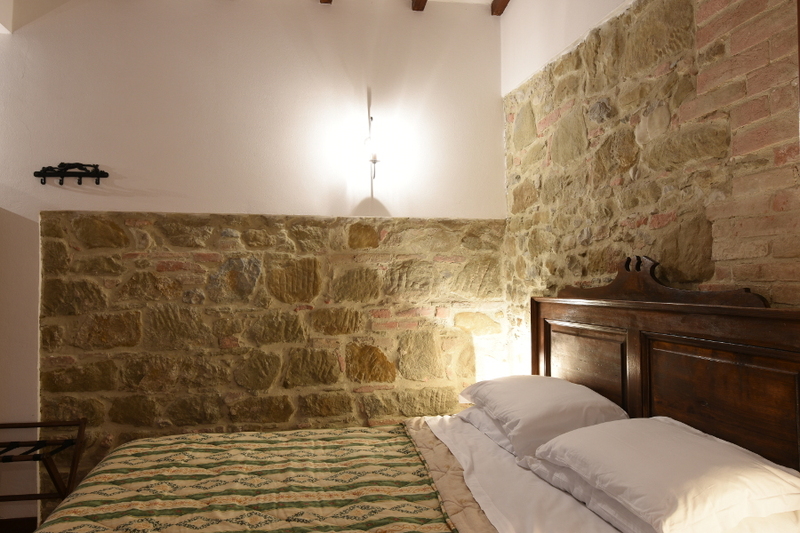 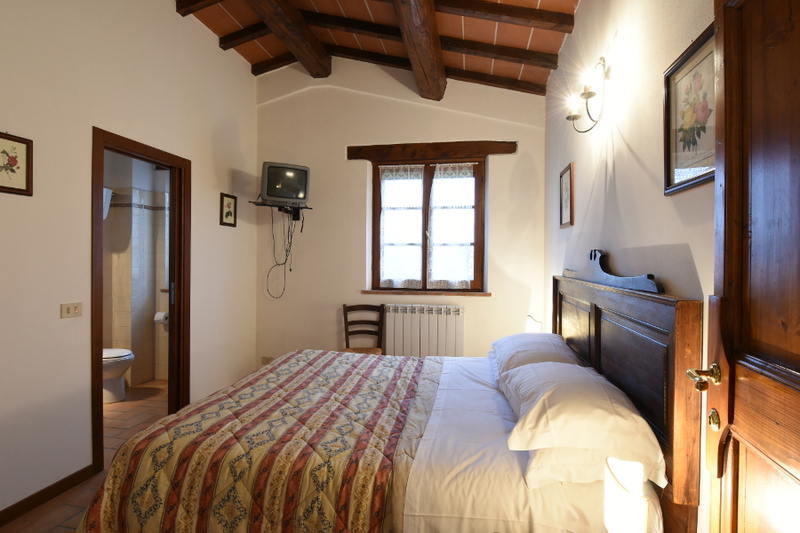 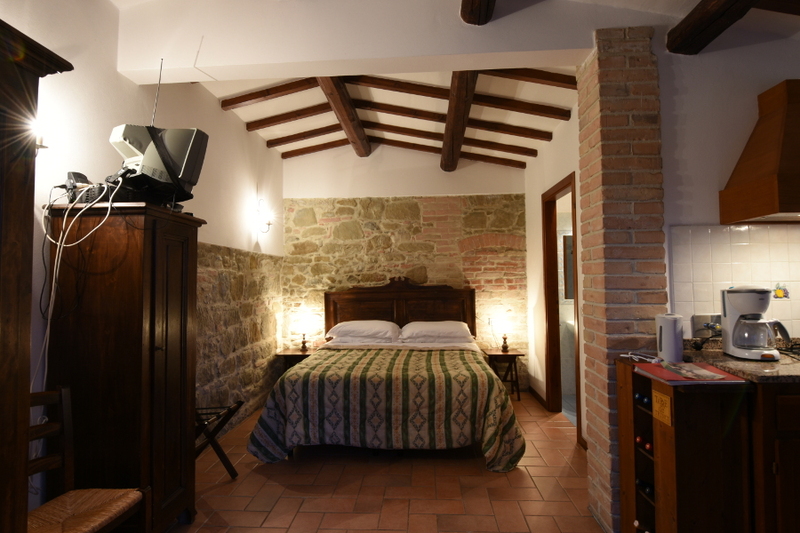 Ground floor, bedroom with kitchen area, TV, wooden beam ceiling, stone walls, double bed, bathroom with shower, outdoor area with fully-equipped table under a stone veranda. 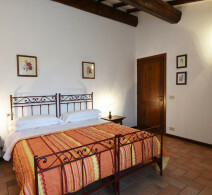 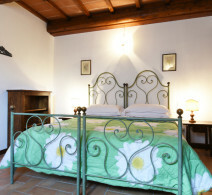 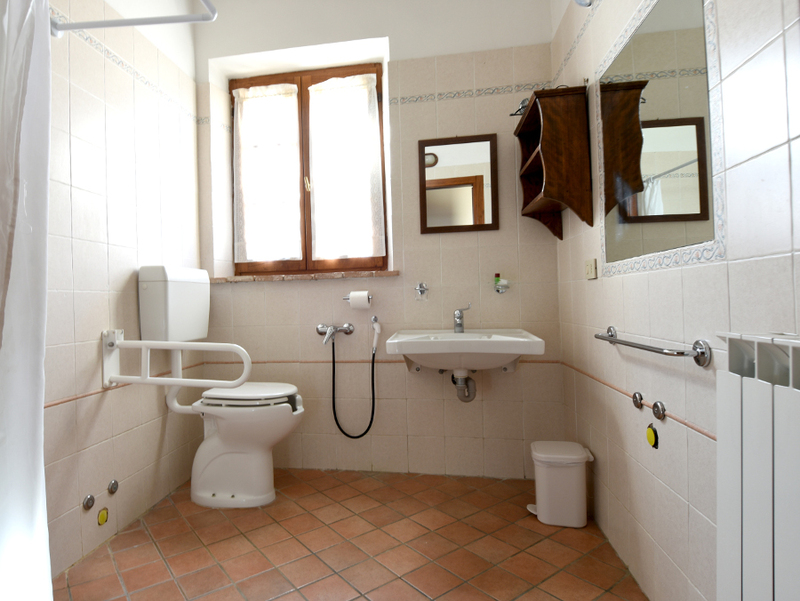 Ground floor, wooden beam ceiling, terracotta floor, living room with double sofa bed ,TV, fireplace and kitchen area with microwave oven, brick faced walls, 1 twin/double bedroom, bathroom with floor level shower (suitable for the disabled) outdoor area with fully-equipped table under a wooden veranda. 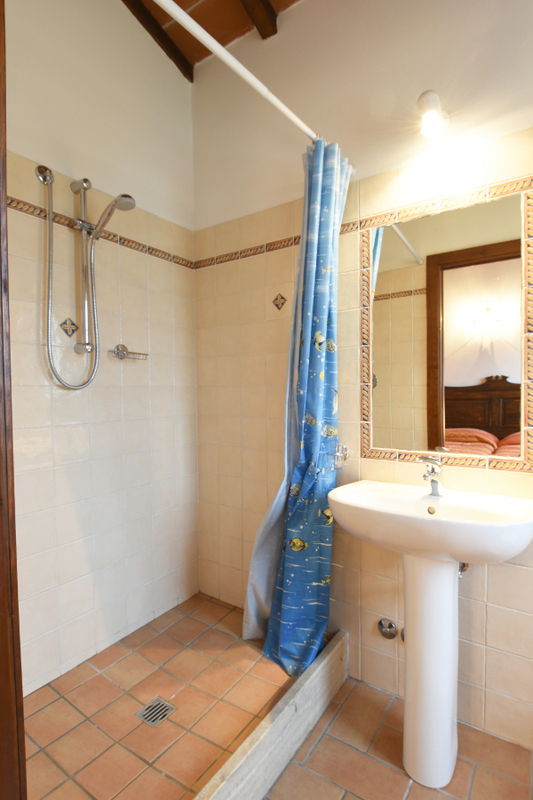 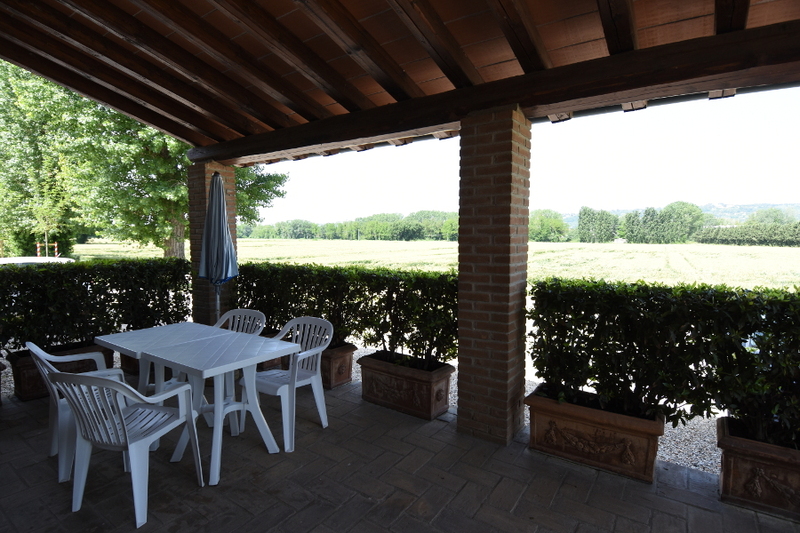 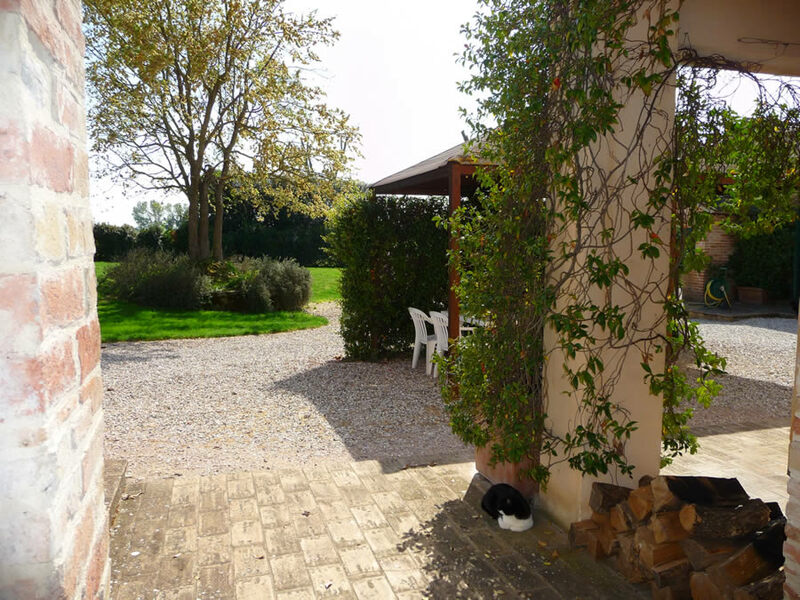 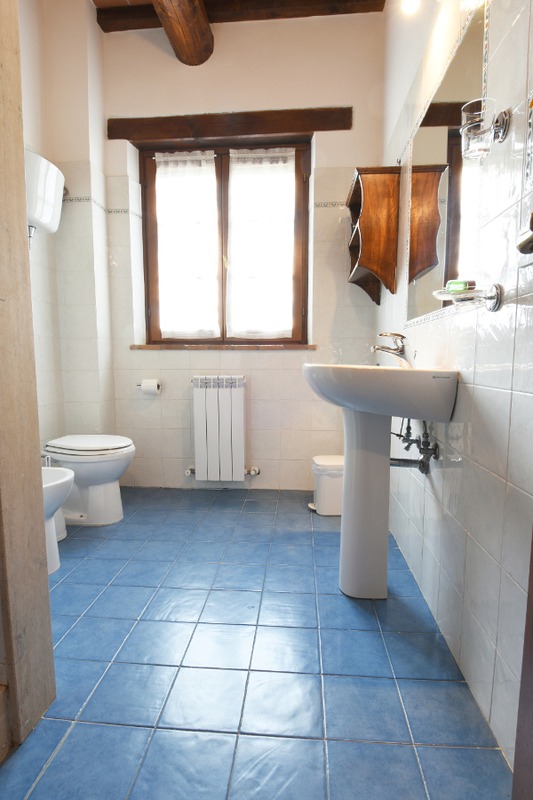 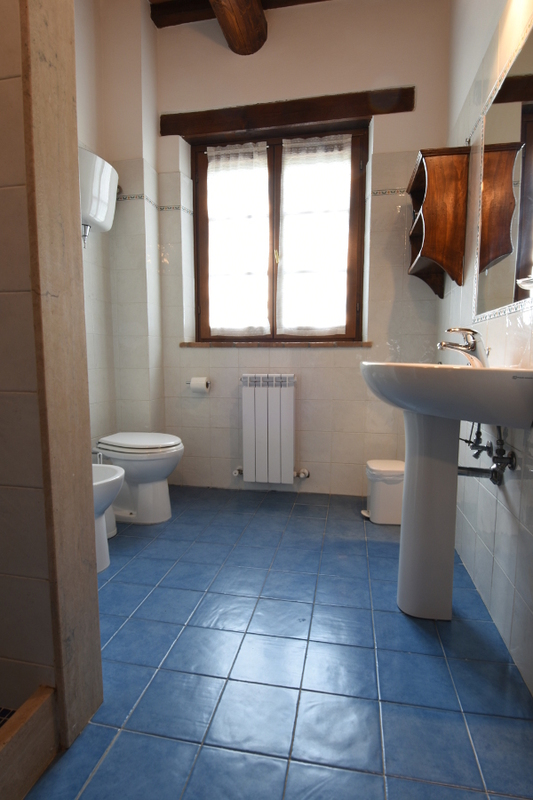 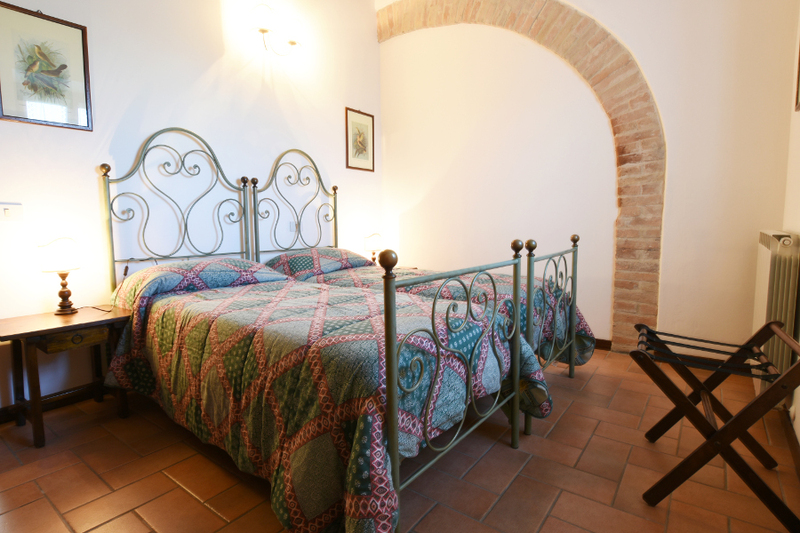 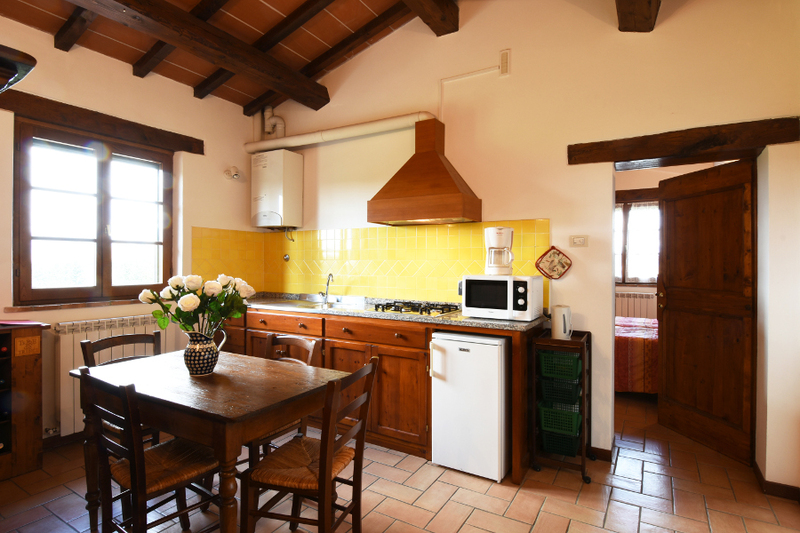 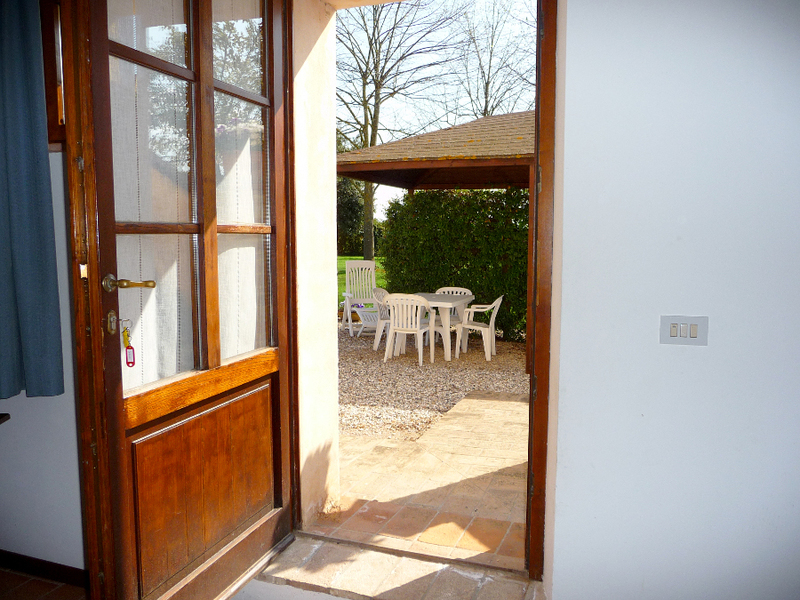 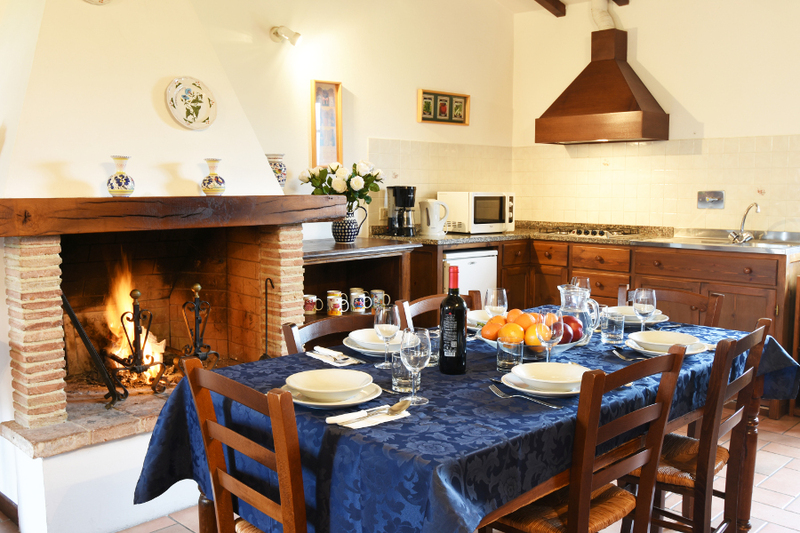 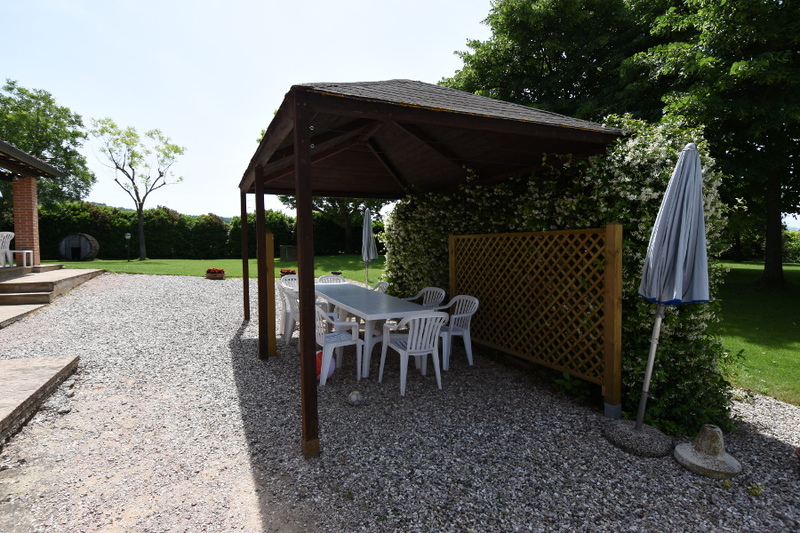 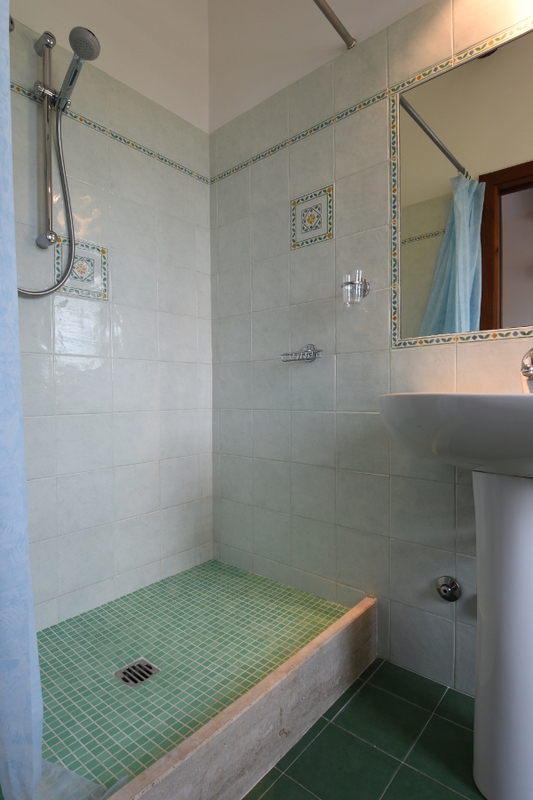 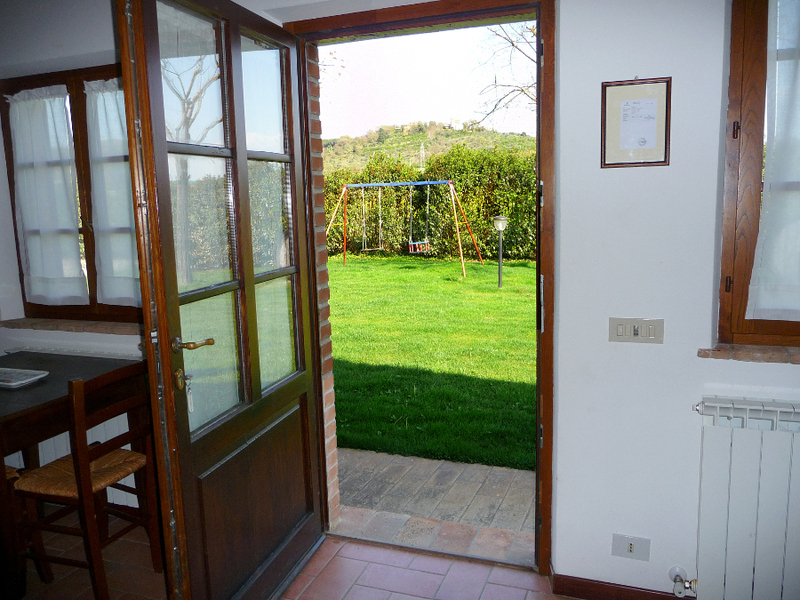 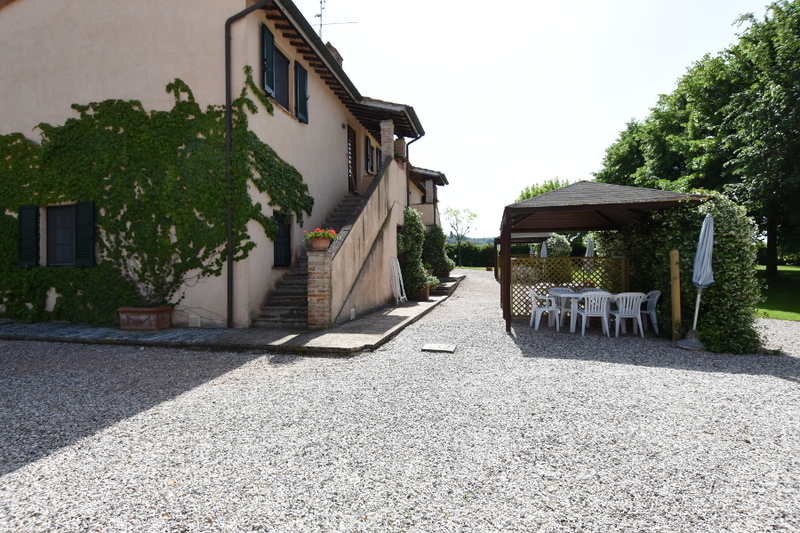 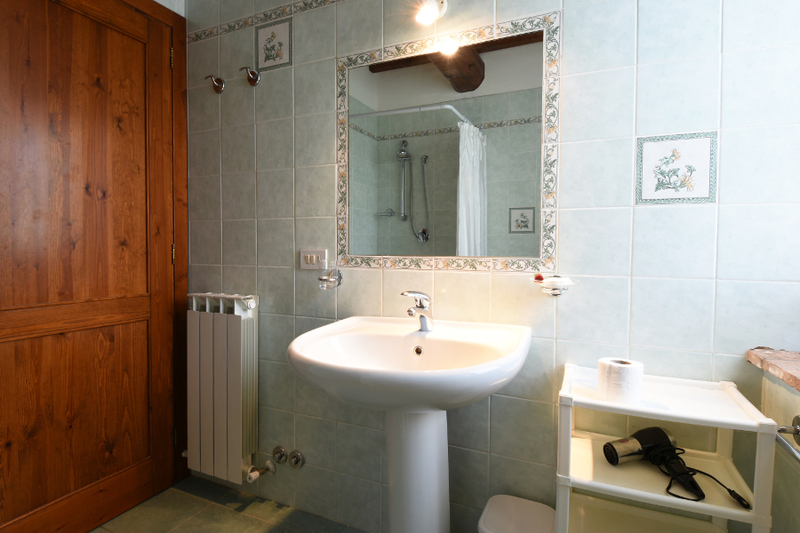 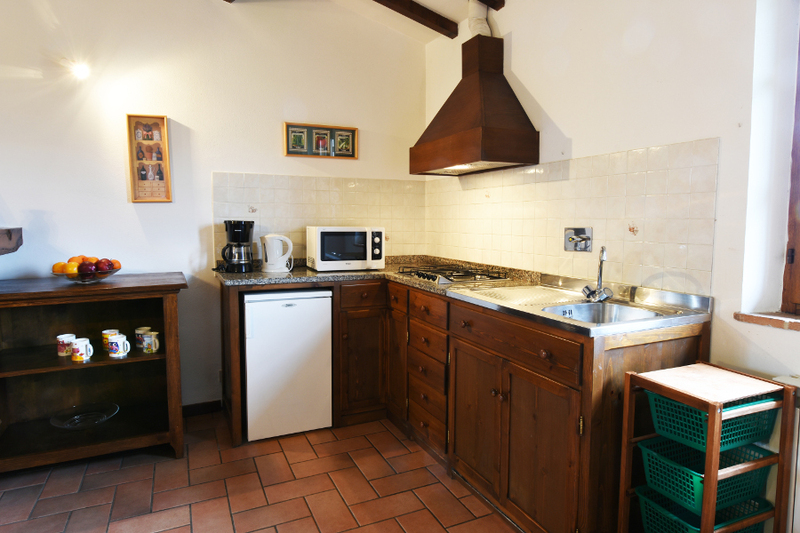 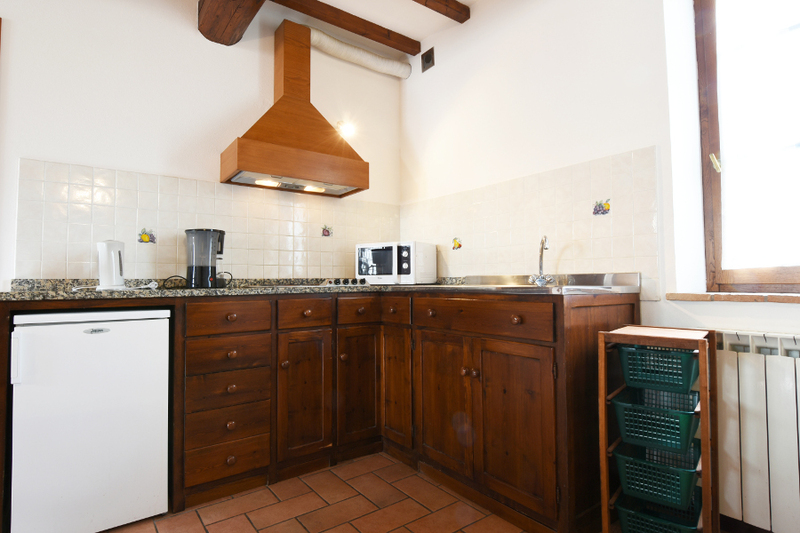 First floor, wooden beam ceiling, terracotta floor, living room with fireplace and kitchen area, microwave oven, 1 twin/double bedroom with TV and en-suite bathroom, possibility of cot, private 30m2 terrace with fully-equipped table and wooden gazebo. 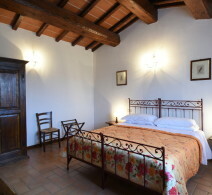 Ground floor, roof truss wood, terracotta floors, living room with fireplace and kitchenette, microwave oven, 1 twin / double room with private bathroom and TV, 1 double / twin room with private bathroom and TV, possibility ‘ to add a bed, outdoor area equipped with table under private veranda of 30 sqm.